Welcome back to our Process Optimization series, kicking off 2016 with a bang! Last week we started looking at some tools, based on the SIX SIGMA methodology, that may be useful to help boost your productivity. SIX SIGMA, more specifically, is the statistical term for a process producing < 3.4 errors per million opportunities for defects. CTQ can be used to help define those requirements at a measurable, granular level. to identify the components associated with delivering CTQ product or service. Today, let’s pick up more tools to help define & analyze process improvements. A Pareto chart is a tool for quality control, to help prioritize which defects to address first. The purpose of the Pareto chart is to highlight the most important among a (typically large) set of factors. In quality control, it often represents the most common sources of defects, the highest occurring type of defect, or the most frequent reasons for customer complaints. A Pareto chart, named after Vilfredo Pareto (considered Italian, but born in Paris, France), is a type of chart that contains both bars and a line graph, where individual values are represented in descending order by bars, and the cumulative total is represented by the line. Pareto charts are a type of bar chart where X axis represents categories. Those categories typically represent errors/defects or causes thereof. The bars’ heights represent count or % of errors/defects, or their impact (e.g. cost, delays, rework). 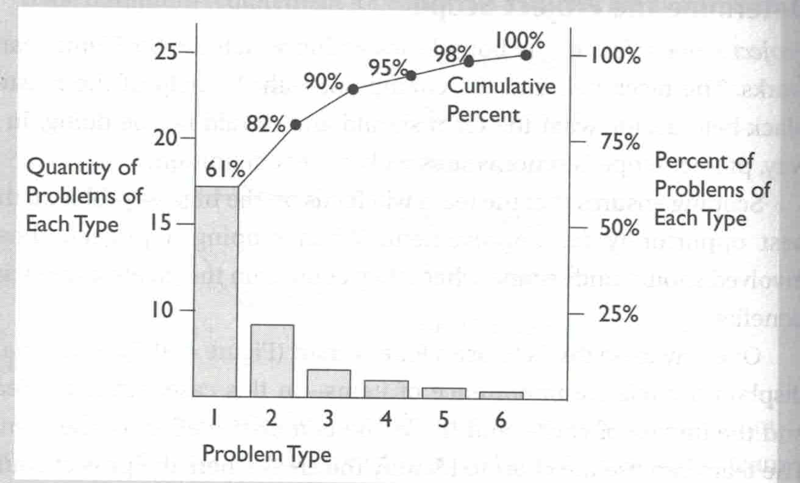 By arranging bars from largest to smallest, Pareto charts assist in seeing which category to address first, for “biggest bang for buck”, for example in the below chart we see quantity of problems of each type AND the cumulative percentages of those problems. 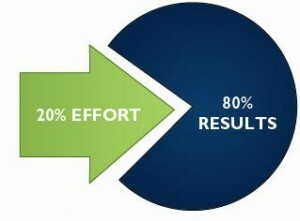 Pareto charts are helpful to define priorities, showing % contribution of each factor. This enables deciding which defects to address first. For those linguists out there, broadening the definition of MUDA, MURA is waste due to unevenness or variation while MURI is waste caused by overstressing staff, machines or systems. While SIX SIGMA focuses on process improvement to reduce errors/defects, analyzing waste, in its many guises, expands potential areas to tackle. How: Eliminate, combine, rearrange, simplify. Identifying, then, reducing waste may be the easiest starting point for process improvement. Kano, a Japanese engineer, said that customers’ requirements differ. Some requirements yield higher satisfaction levels than others. Over time, customers’ expectation of a specific feature typically drift from being delighted, to wanting, to needing. For example, using cell phones for text messaging, was initially a novelty, in other words a delighter, then it became a need for performance, in other words a want, until its novelty wore off and it now is simply a basic need of every smart phone. HOW YOU CAN USE THIS? 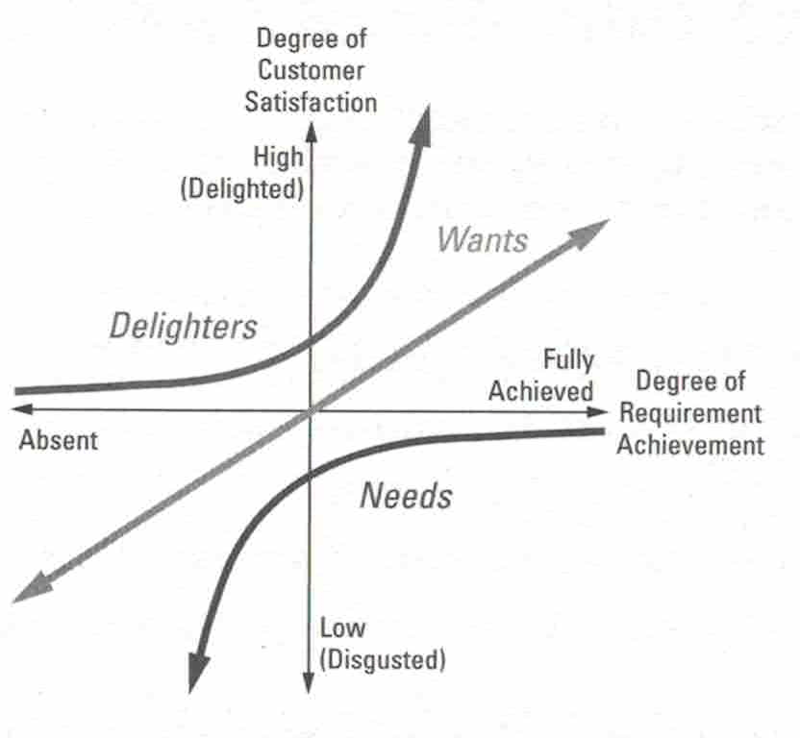 Analyzing how satisfied your customers are, by your product/service, can help differentiate you from your competition. But bear in mind that timing is crucial, as what is perceived as new and exciting today, may soon become a mere basic expectation. 7 Types of waste, the Pareto chart & Kano diagram. Please tune in again next week, when we meet 2 tools to mitigate risk and another trick to encapsulate customers’ expectations. Thank you for your interest in improving your Processes. Brue, G. (2015). Six Sigma for Managers Second Edition. United States: McGraw-Hill Education. Gygi, C., & DeCarlo, N., & Williams, B. (2005). Six Sigma for Dummies. Indiana: Wiley Publishing, Inc.
Gygi, C., & DeCarlo, N., & Williams, B. (2012). Six Sigma for Dummies 2nd Edition. New Jersey: John Wiley & Sons, Inc.
Kallet, M. (2014). Think Smarter. New Jersey: John Wiley & Sons, Inc.
KellyLawless. (2013). Fishbone BadCoffeeExample.jpg (Own work). Pande, P. S., & Neuman, R. P., & Cavanaugh, R. R. (2014). The Six Sigma Way Second Edition. United States: McGraw-Hill Education.